In addition to a day of thanksgiving, the NFL Week 12 Recap includes perfect passers, a storm of punches and trolling an ex-boss like a boss. 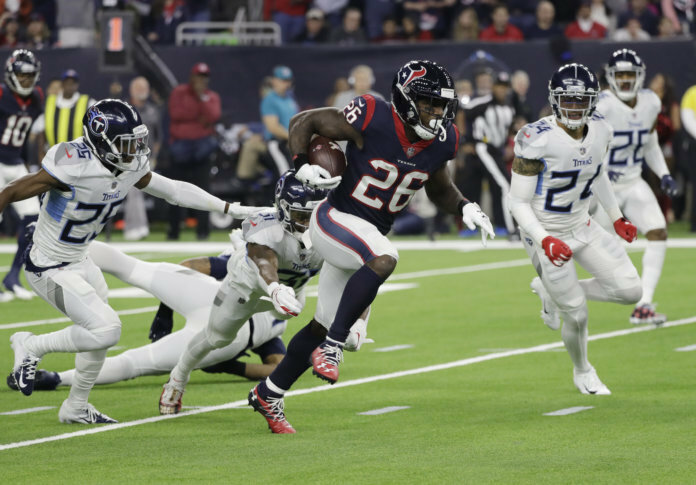 A day after JuJu Smith-Schuster scored his second career 97-yard TD, Lamar Miller became the first player in NFL history to notch multiple 97-yard runs in his career, Deshaun Watson reminded us he was Patrick Mahomes before Patrick Mahomes, and Houston’s defense offset Marcus Mariota’s 22-of-23 passing night by sacking him six times. Heckuva tribute to their late owner just days after his death.